Marvelous color. The peacock just teasing you with a hint of what it could be. A wonderful image of this great looking peacock. 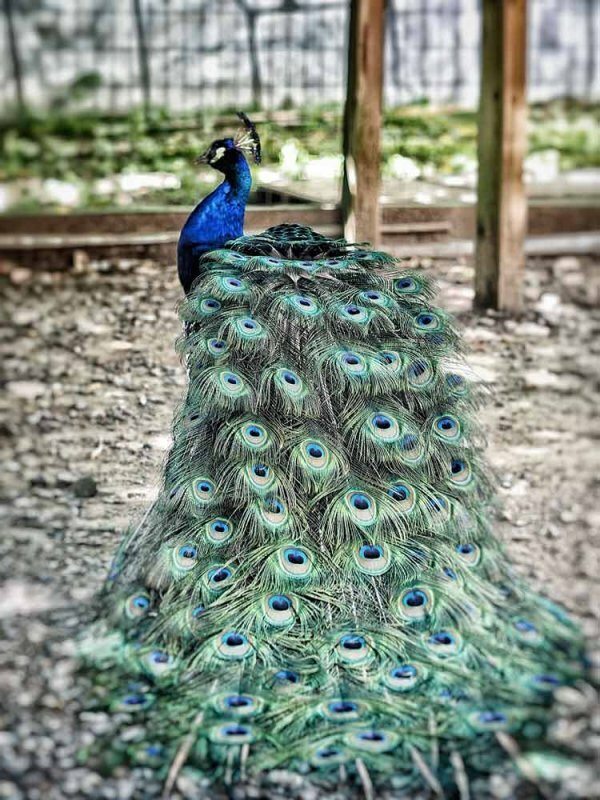 A fine capture of this beautiful peacock, Jeff. V+++! Almost a bridal veil :) nicely composed ! In all its glory. I had no idea that the feathers extended so far. "V"
That peacock has reason to be proud - as do you with this exceptional image!